Spirit Guides, Spirit Visitors, or Spirit Attachments, or… ? 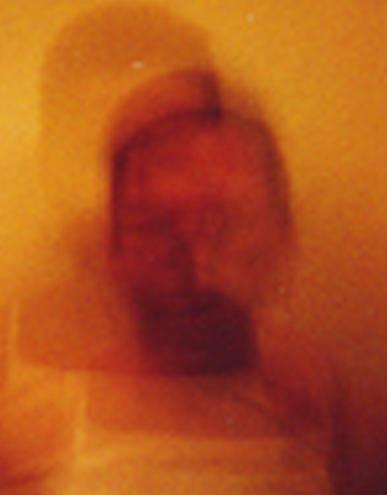 Over the years, using the “luminator,” I photographed hundreds of people who had spirit faces “posing” with them… some of those faces seeming content and friendly, others dark and troubled… some appearing solid and “real,” others light and wispy… some posing side by side with the human face as though the two blend together, others replacing the subject altogether. There are lots of interpretations that could be (and have been) made about the faces, most of them emerging from people’s spiritual beliefs and expectations.  What a religious fundamentalist might call a demon, an agnostic or parapsychologist might call an anomaly caused perhaps by camera blur. 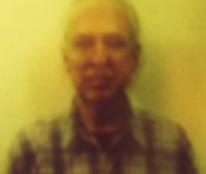 Grieving widows might see their late husbands in the pictures, while UFO enthusiasts might see ETs. I have my own interpretations, based on my spirit-world model (click here)… which you’re welcome to explore and consider. Meanwhile, I’ll share some of the pictures here, along with brief comments, and you can come to your own conclusions. (Some names have been changed for matters of privacy.) First, some pictures of me. The first four were taken in my lab. 1. 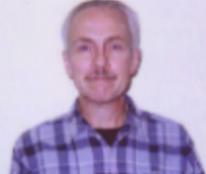 Me in my lab (2001). 2. A spirit colleague replaces my face, same day. 3. Me in lab (2002). 4. Another spirit friend appears, same day. 5. 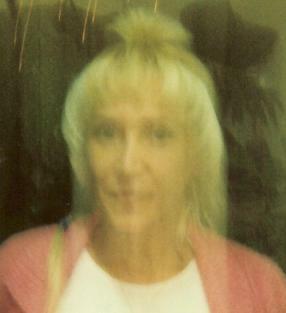 Meme, a gifted psychic, in New York (2004). 6. Meme and friend, same day. 7. Meme in Atlanta (2006). 8. Meme as she feels the spirit of singer Jerry Garcia, same day. 9. Jerry Garcia (of the band Grateful Dead) in lifetime, 1968 San Francisco. 10. Joy, visited by the spirit of singer John Denver. 12. Gen and her late father. 13. Gen and another male visitor. 14. 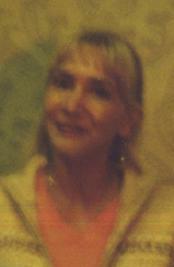 Connie and her son (highlighted) who died as a young man. So, feel free to draw your own conclusions about the pictures. My own conclusion is that there are many invisible but strong influence exerted on us from the astral worlds… some beneficial… others harmful… and we’ll never find true peace within us nor throughout our world until we have come to understand them… which is one aim of this blog. 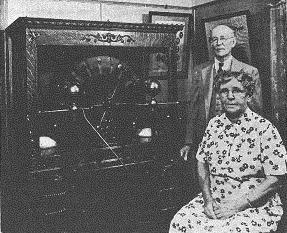 Dr Carl Wickland, wife Anna, and their Wimhurst generator. Dr. Carl Wickland (1861-1945) was a Swedish-American physician, psychiatrist, and avid spiritualist married to a gifted medium (Anna Anderson). He was head psychiatrist at the National Psychopathic Institute in Chicago, and he worked with a small team of “abnormal psychology” specialists, including his wife Anna. Wickland used a static electricity device called a wimhurst generator (see the picture to the left showing the Wicklands and their machine, and watch the video below of a modern wimhurst generator in action). While treating a mentally ill (spiritually possessed) patient, Wickland held a short wand attached to the machine. With the wand, he administered a series of static-electric shocks along the patient’s neck and spine. Each shock, while uncomfortable to the patient, was excruciating to the spirit or spirits attached to the patient. Usually after a few shocks the spirit would bolt quickly from the patient’s body and be attracted to the spiritual light of Anna, who sat in the next room, in trance, and served as medium for the spirit and the treatment. (The body of a gifted medium like Anna is like a big “Welcome” sign to a confused spirit with nowhere to go.) The spirit would come to Anna and complain of the horrible pain he’d experienced. Anna would converse with the spirit, calm him down, explain his situation (the fact that he’d died and was stuck in a lower spiritual vibration near the Earth), and eventually show him how to relax into a finer vibration in order to move out of his dark, dismal surroundings and into one of the many light paradise worlds where he (and all other deceased human spirits) belong. Wickland learned through his research what I’ve learned through mine… that we humans are subject on a daily basis to many spiritual influences, better understanding of which can bring greater peace to our lives at all levels, from personal to global. If you’re suffering symptoms of what could be the result of harmful spiritual influences, especially mental illness, and you want some relief, my advice is to call on the ethereals, first and foremost. They can provide comfort from the storm. These are the subtle, loving, extremely powerful beings who can make miracles happen in our world… and they can be accessed at quiet times through prayer, meditation, contemplation… even daydreams. The light they stream into our lives can facilitate the efforts of supportive astral spirits who have our best interests at heart, and they can help to protect us from the dark and dismal spirits that move, confused and troubled, in and out of our world. There are also spirit releasement therapists working today, such as Dr Alan Sanderson in the UK and Dr Thomas Zinser in the US. So, the ultimate solution to the more troublesome spiritual influences on our world rests with us, on Earth. It’s our own troubled thoughts, stirred up over the millennia largely by human egos and hormones, that spin away from the Earth to create and sustain the dark and dismal pockets in the astral realm… what our spirit friends have sometimes called “shadow worlds” of the Earth. Again, solving the problem will include an acknowledgement of the many varied spiritual influences on our world. Mental health professionals, in particular, should be aware of those invisible forces. 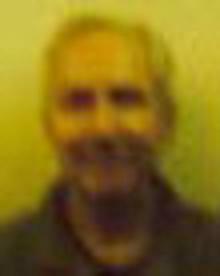 This entry was posted in About Mark Macy, Heaven and Earth, Inner exploration, ITC, Other-worldly matters, Our paradise destiny, Spiritual realms and tagged Carl Wicklund, spirit attachment, spirit faces, spirit guides, spirit visitors, wimhurst machine. Bookmark the permalink. 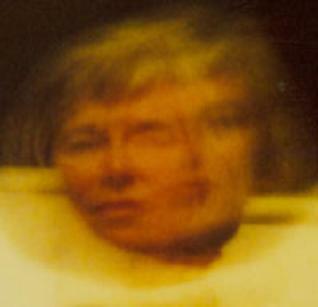 16 Responses to Spirit Guides, Spirit Visitors, or Spirit Attachments, or… ? Yes, great improvement in presentation and easier to understand by sight. Lots of love to you and family, Mark. How may I either construct a “luminator” or purchase one? I am very interested in experimenting with this device. I do not want to use it for personal monetary gain, just my own personal insight into the “spirit world” and all that it entails. Hi Mark, Luminators are pricey. You might want to contact Jack Stucki, whose email address I’ll email to you separately. Some months ago he told me he’s building some. (Only about 8 of the traditional model were ever built by the late Patrick Richards.) You might also want to consider that they stopped making the original Polaroid film, and I’m not sure if the new replacement film works for getting spirit faces on film. Jack could also help you with that information. Mark, I have a question I hope you can answer. 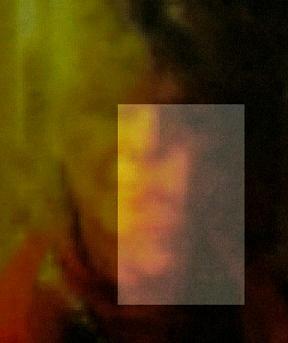 We received a family photo of my sibling and in the background of the photo there is a image of a man.I did learn that where the photo was taken was a haunted hotel in New Orleans,La.Can you tell us anything about the image and what it means? 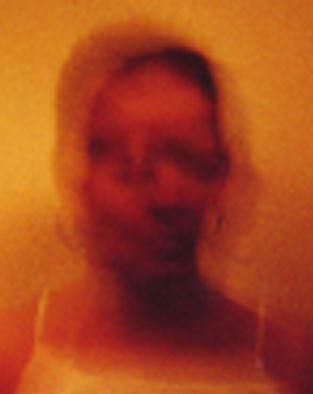 I met you in NYC during your Luminator workshop at the Edgar Cayce center a few years ago, and I’m honored that one of the photos you took of me with an unidentified male spirit over my face is included in your book, Spirit Faces. 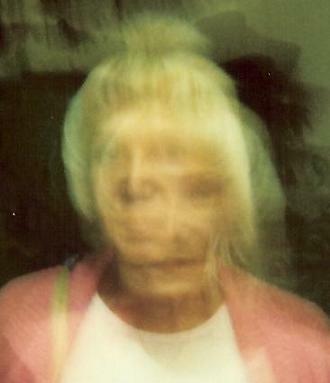 I have a strange question – it seems some of the other Polaroids that you took have continued to “develop” since last I looked at them, and the spirit faces are even clearer and more pronounced. In a couple of them my deceased father has now appeared. No, I honestly don’t think that I’m noticing more in them, they really seem to have developed a bit more. Do you think such a thing is possible? Have you ever checked back at some of your own Polaroids taken years earlier and noticed they’ve slightly changed? Keep up the great work, and love your blog! Great hearing from you. That workshop at the Edgar Cayce Center produced some amazing results! 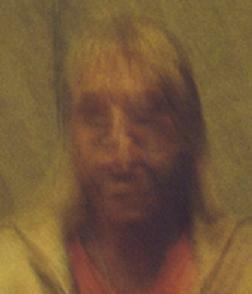 A number of people have reported similar experiences… the faces sometimes get clearer over time. It doesn’t make sense from a physics perspective, but I’ve seen how spirit, mind, and intention do strange things in ITC. If you’d like to send me the pictures that changed, maybe I can publish them on the blog. I might even have some copies of originals to compare with. Thanks so much, Mark. I was thinking along the same lines – that the spirits are somehow able to continue manipulating their images so the photos become even clearer over time. Would it be best to scan the photos and email them to you? Regards to Regina. Lisa, scanned images emailed to me would be great. Thanks! I got in touch with Jack Stucki and he is truly a wealth of information. He has sent me many photos of a new type of Luminator that uses digital cameras. I am now in the process of trying to construct one. The only problem is trying to find a true Vogel wand. With so many companies saying that they have true Vogel wands, I am totally in the dark as to where I can purchase one. Do you have any ideas? Any help in this would be greatly appreciated. Thanks for all of your help so far I truly appreciate it. maybe this website could help you to decide which crystal is really true. Wow, that would certainly explain why there’s so much wacked out behavior “everywhere” on our planet. It even makes sense. Thank you Mark, my kind sir. Do you recommend self-treatment for spirit releasement by using a Wimhurst (Wimshurst) electrostatic generator machine as designed by Dr. Wickland? If so, what voltage level is safe? Instructions to build DIY Wimshurst machines can be found on youtube. I’m experimenting with electrostatic energies (sparks) for spirit releasement, but I haven’t come to any conclusions yet about the efficacy, or what levels would be both safe and effective. So, my only recommendation at this time: Be careful. Better safe than sorry. Also, I go back and forth about the benefit of jolting attached spirits out of the human body, without providing a better place to go. Detach them from one person, and they’ll go straight to the next open vessel. Much better to also provide an opportunity and means for the detached spirit to rise to a lighter, finer vibration and existence on the “third level” of human spirit… once they’ve been detached. 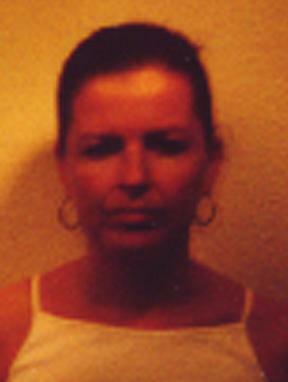 That was the service provided by Carl Wicklund’s wife Anna.